The same spot, right after the smokejumpers left their shelters. 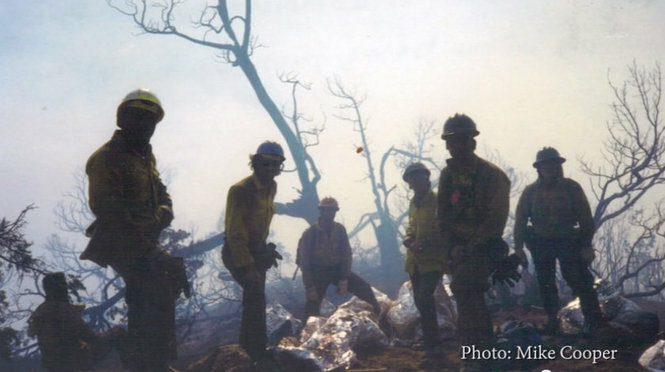 John Maclean, whose book Fire on the Mountain was the first of a series he has written analyzing wildland fires that killed firefighters, revisits the South Canyon Fire of 1994 and compares it with last summer's even deadlier Yarnell Hill Fire. There is a good two-part video on YouTube about South Canyon, with interviews of people who were there (one of them is a neighbor of mine). The animations in the video are helpful in visualizing what happened. Maclean (and others) credits South Canyon with changing firefighting culture a little bit, making crews more concerned about their own safety and less likely to tell the boss that everything is OK.
A key lesson from the video: Firefighters in charge "should listen to everyone on the crew," [smokejumper Eric] Hipke said. "That's not the way it used to be." And fire crews, Hipke said, should be more aggressive in voicing their concerns about dangerous situations. 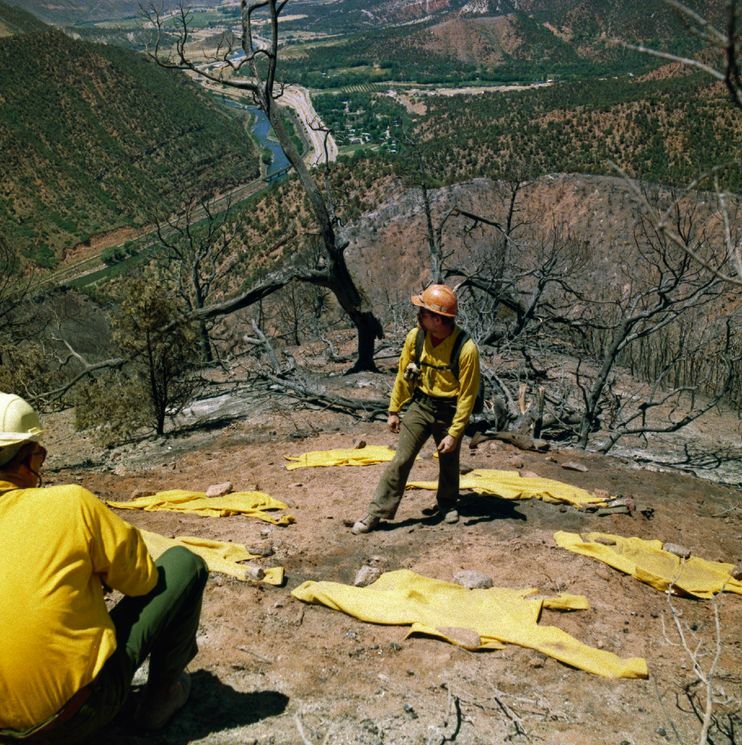 During the South Canyon Fire, he said, he and other firefighters failed to tell [lead smokejumper Don] Mackey that they were worried about venturing so far into dense brush without a sure way out. "As workers we want to work, so we shut up," Hipke said. More South Canyon Fire and aftermath photos here.